Car window tinting became noways a necessity. It’s no longer a luxury or a symbol of gangsterism and rebellion. The car window tinting is basically the application of heat and glare rejection film on the window pane in order to reduce the amount of glare, the infrared and UV light from entering through the window. There are different degrees of window tint, catering for various permeation limits. 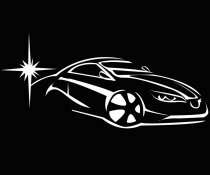 The car window tinting have several benefits not only fro the driver, but also for the passengers. The main advantage is the protection against UV radiation from sunlight. The reduction ozone implies UV radiation may exist in direct sunlight. 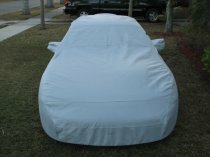 This type of protection is necessary for those that spend a lot of time on the road, reducing the risk of skin diseases. The car window tinting protects and prevents against road accidents, as it reduces the dangerous glare from sun, snow and elements such as approaching headlights. The tint has a metallic attribute that holds the window pane together in case of glass shatter resulted from unavoidable accidents. Moreover, car tinting extends the life of the car from the mileage and interior appliances point of view. 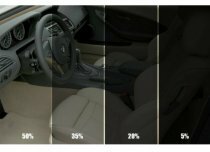 The cracking and fading of the interior of the car, such as the dashboard and the seat covers can be prevented by blocking and limiting the entrance of sunlight. The materials from which the interior dashboard is made of and the electronic appliances can be damaged by prolonged exposure to sunlight. If you have the right tinting, you can protect and coll the interior temperature. 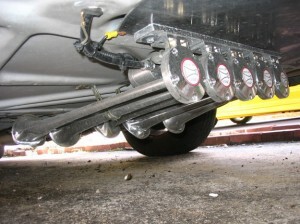 In this way the threat of overheating is prevented. 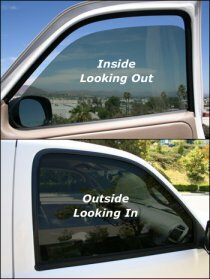 The car window panes tinting is considered to be a negative aspect because it implies the inability to see inside the car. On the other hand, it offers you privacy and security. For instance, car burglary occurs when the culprit sees what he wants inside the car. Window tinting has many benefits. Check with your local authorities and see which is the allowed degree for tinting your car.